As-salaamu Alaikum wa Rahmatu Allahi wa Barakatu. 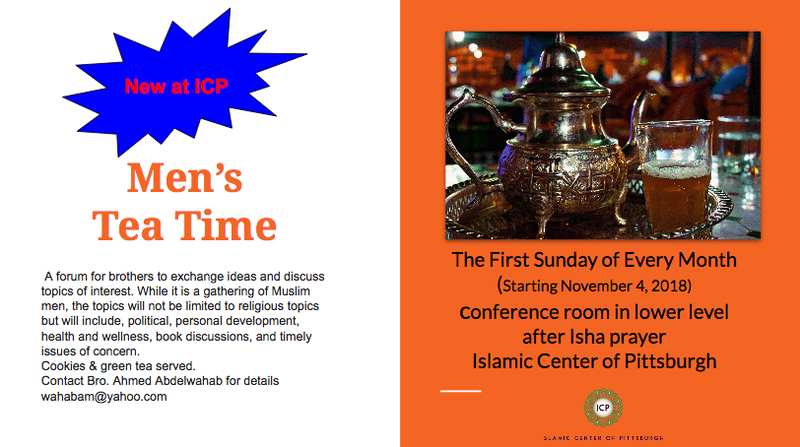 Peace and blessings be upon you, and welcome to the Islamic Center of Pittsburgh. Whether you are a native of our great city of Pittsburgh or just visiting, we warmly invite you into our community and encourage you to make this one of your own. You can get involved through our programs and events, sign up for various leadership opportunities, and connect with us through social media. Please feel free to contact us for more information and to let us know how we can serve you better. On our website, you can find out about our mission, who we are, and how you can get involved.